If you’ve spent some time on any stage or in any studio, you’ve probably seen or used a DI box before. What is it about these magic boxes that seems to make every engineer’s job easier? Let’s take a look behind the curtain to reveal a little bit of information about DI boxes, as well as listen to some sound samples to reveal the difference a DI can make. Known as direct boxes, direct inject boxes, or simply DIs, these splendid pieces of gear transform your guitar or keyboard’s unbalanced, high impedance signal into a balanced, low impedance signal. Many live sound and recording engineers prefer to input the signals of a bass or keyboard directly into the mixer. Since most front-of-house mixing consoles are located in the back of a venue, or at least some distance away from the stage, long cable runs are needed to feed signals to the mixer. If you were to use a typical, 1/4″ unbalanced instrument cable to make these long runs, then you would notice a significant change in your tone. Unbalanced cables act as a capacitor, and long cable runs can transform the cable into a sort of low-pass filter by noticeably rolling off the high end of your signal. 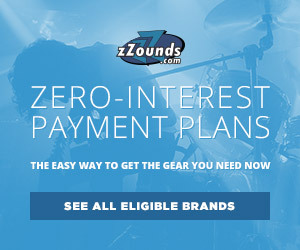 Clearly, you want your signal to travel in a pristine state to preserve your tone. Luckily, this is where DI boxes come into play. Since DI boxes transform your unbalanced signal into a balanced one, long cable runs are a breeze. Balanced XLR cables by their nature reduce RF noise and keep the high-end of your signal intact for optimal performance. The DI’s impedance matching capabilities also help to limit even more noise that could be introduced into the circuit. If you experience buzzing, just flip the ground switch and hear the noise disappear. Bass tones made possible by this Squier Vintage Modified Precision Bass with a Seymour Duncan Quarter Pound pickup. DI boxes come in two main flavors, passive and active. I’m going to focus on a passive DI for this article, but we’ll explore the differences between active and passive DIs in a future post. To demonstrate how a DI affects your sound, I’ve recorded a few samples. 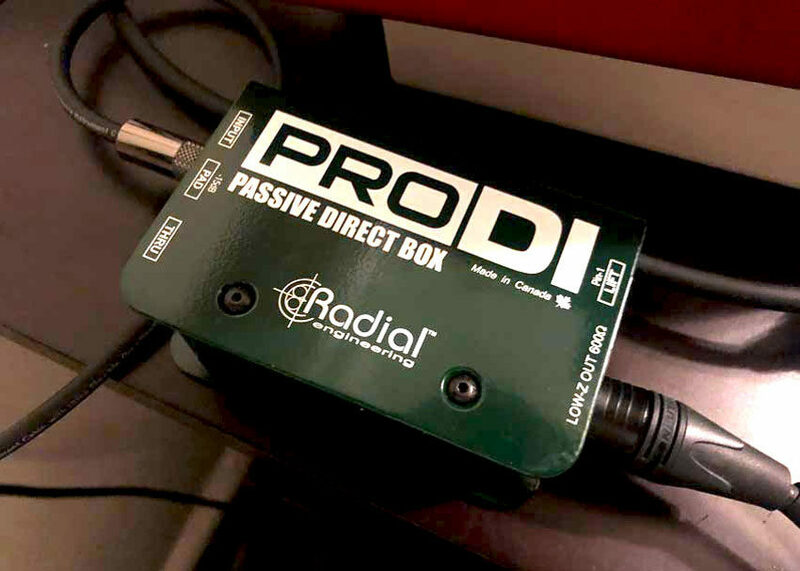 The DI used for the samples is the Radial ProDI. 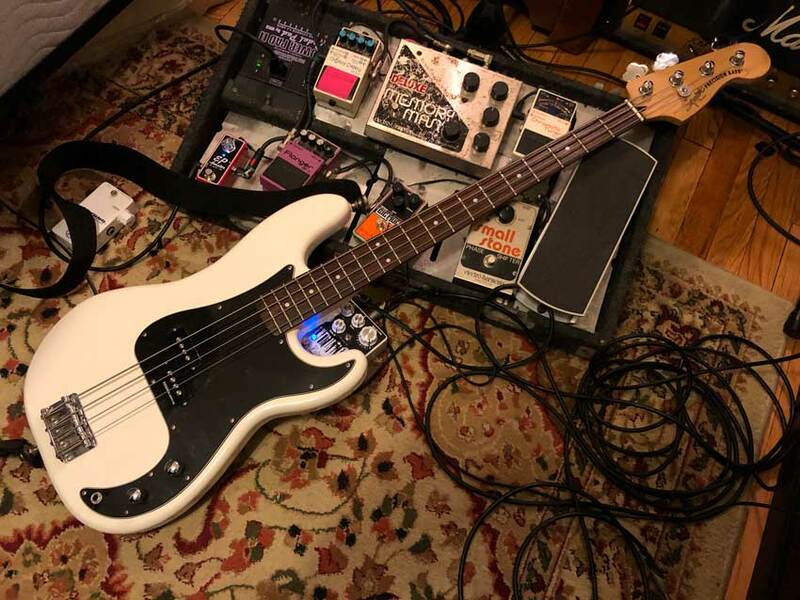 I’ve decided to demo the DI with a Squier Vintage Modified Precision Bass (upgraded with a Seymour Duncan Quarter Pound pickup) since basses are some of the most DI’d instruments in the biz. The interface used is a Focusrite 18i8, while a Black Lion Audio B173 preamp has been used in some of the examples to demonstrate how a DI paired with an outboard preamp can further affect tone. In the first sample, I plugged the bass directly into one of the 18i8’s instrument inputs. As you can hear from the example, the sound is pretty basic, without necessarily sounding bad. The frequency response sounds a bit narrowed, however, with lows that register as less deep and a hyped midrange focus. For the second example, I plugged the P Bass into the ProDI and almost instantly it sounds like a blanket has been lifted off the bass tone. The lows extend further than the Focusrite could handle by itself, while the midrange has been reined in, allowing the bass’s natural tone to be the star of the show. Finally, I plugged the DI into an outboard BLA B173 preamp, which then went into a line input on the 18i8. The tone didn’t change too much, but the low end did sound like it sweetened up a little bit, at least to my ears. Just goes to show you that having a DI is almost more important to recording a good bass sound than an expensive outboard pre. 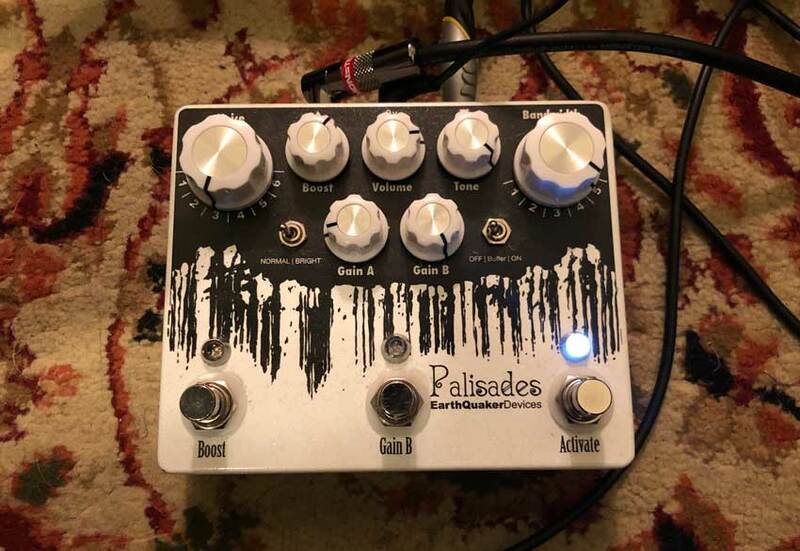 I used an EarthQuaker Devices Palisades to bring the pain (aka overdrive). Shown are the exact settings used for the samples. As a cherry on top of this demo, I thought it would be a fun experiment to hear how a distorted bass sounds with the same setups. To do so, I ended up using an EarthQuaker Devices Palisades. As per the clean examples, plugging directly into the interface yielded a usable tone, yet features a noticeable lack of low end. Plugging into the DI fattens up the bass sound once again, with a clear bump in the bass frequencies. Despite the overdriven tone, the DI also seemed to bring out a clarity that was missing when just plugging directly into the interface. Finally, I have to say that the DI and the B173 combo produced the juiciest distorted bass tones of the bunch. Hopefully you can clearly hear that a DI is the way to go when plugging an instrument directly into a mixer or interface. The preamps accept the signal much better, resulting in a more pleasant sound. 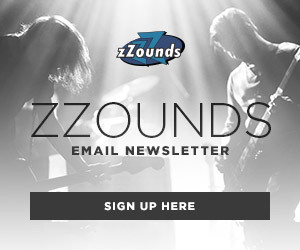 If you have dull or lifeless bass tones, a DI should be at the top of your gear wish list.